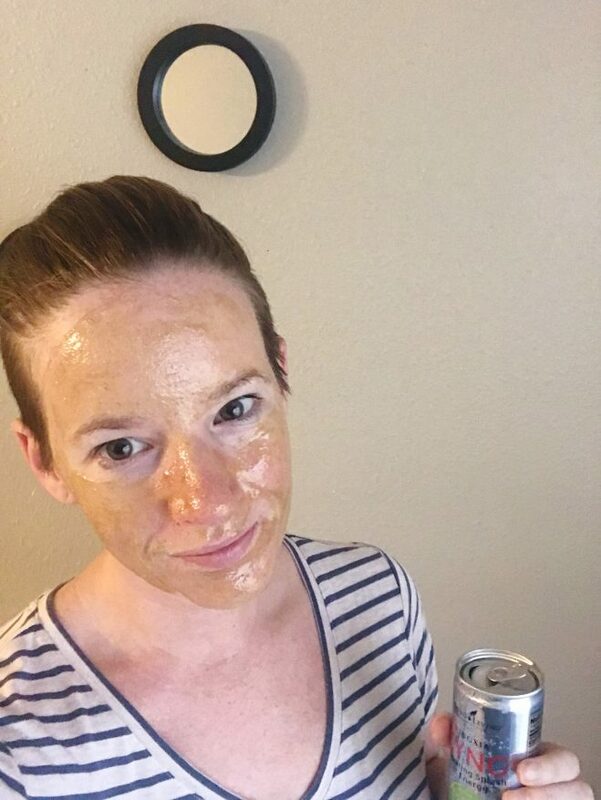 Face masks are a must in my natural beauty routine. Unfortunately, a lot of the masks you can find in the store come with a pretty hefty price tag. How can we practice self care and treat ourselves regularly when everything costs so much?! Enter my DIY face mask obsession. Because, here’s the thing: face masks have been around long before high end beauty brands started offering them for top dollar. I love making my own face masks. Not only are they much easier to make than they seem, but when you make your own, you can customize the ingredients to fit your skincare needs. 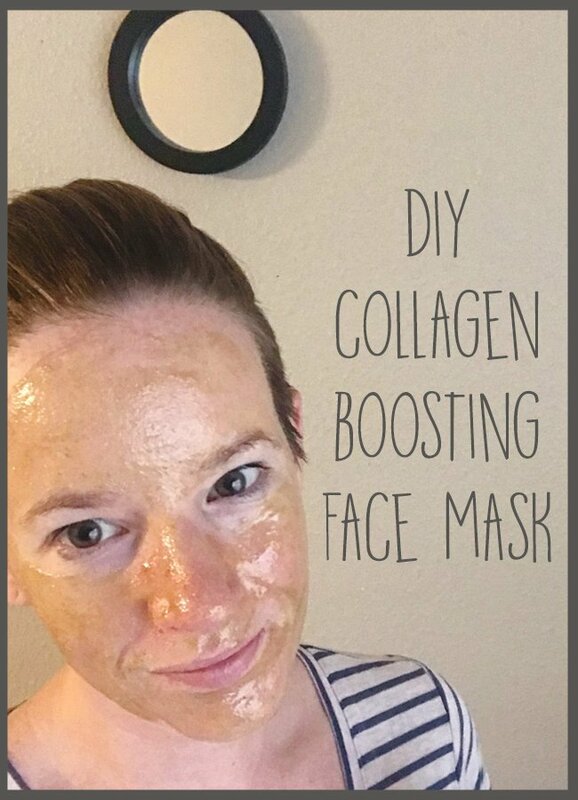 My current favorite is this DIY Maca face mask recipe with collagen. It’s perfect for my skin type, which tends to be slightly oily, with ocassional hormonal breakouts. Maca green tea is really well known for its health benefits when consumed, and many of those same benefits make it amazing for your skin, too! I’ve been using this face mask regularly and it always leaves my skin feeling silky smooth and looking clear. 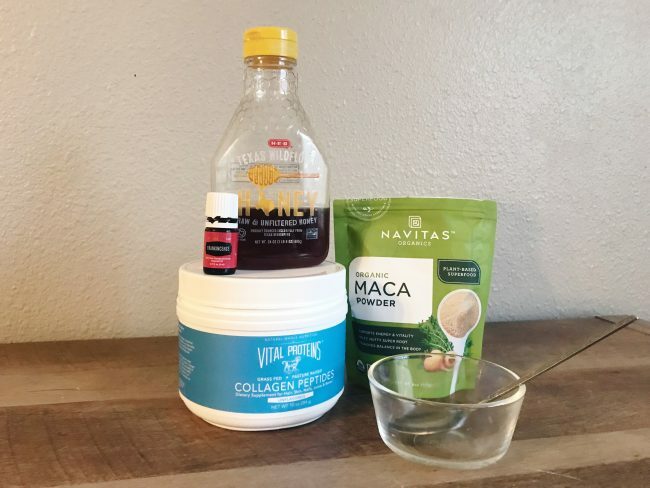 This 3 ingredient face mask recipe is incredibly simple, and since all of the ingredients are shelf-stable, you can make it in advance. I use this mask about once a week to get smooth, nourished, and moisturized skin. The directions below are for a single use, but you can easily scale this to be as much or as little as you want. It’s a basic 1:1 ratio. Mix both powders into 1 tsp of honey to form a paste. Add 1-2 drops of pure frankincense essential oil and stir in. Depending on the consistency of your honey, you may need a little more or less than 1 tsp. 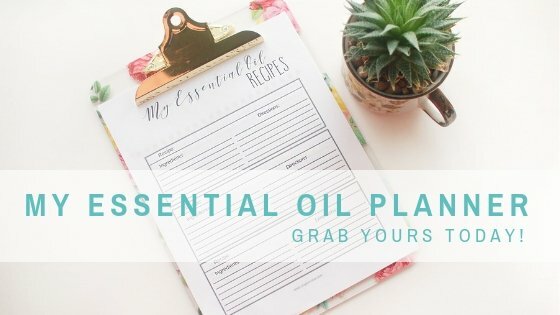 (Important note: any time you use pure essential oils, please be sure to do all of your mixing in glass containers and avoid all plastic). Related: Learn more about essential oils and how we use them right here. If your skin tends to be more dry than oily, you might benefit from adding a little bit of aloe vera or jojoba oil to your mask in place of some of the honey. Spread your face mask over your face and neck using circular motions and leave on for about 10-15 minutes. Then, you can rinse it gently with a warm, wet washcloth. This DIY Fountain of Youth Serum is the perfect follow up to your face mask!